Life with a newborn baby is anything but predictable. For most new parents, the lack of sleep that results from lightly feeding and crying spells can be exhausting. Resuming regular life after the birth of a new little one can be next to impossible when parents are awakened every few hours. When babies are first born, they are typically on a normal schedule. Many sleep during the day and wake frequently during the night, leading many parents to search for a strategy to reverse baby’s sleeping habits to fit in to mom and dad’s routine. Over time, most babies naturally fall into a traditional sleeping pattern that mirrors their parents. 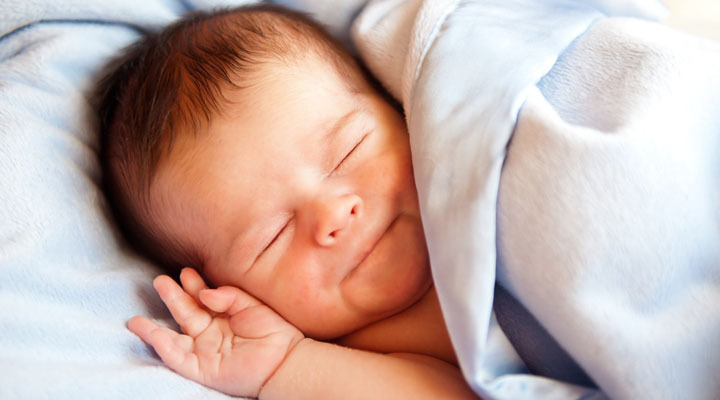 However, some infants have difficulty staying asleep throughout the night well into their second year of life. Researchers Vaugh I. Rickert and C. Merle Johnson released a study in 1988 that provides parents with a new way to handle and correct their child’s night-time waking habits. Children who wake up twice during the night may have to be woken twice by parents until only one awakening is needed. In the past, many pediatricians recommended the systematic ignoring strategy to help babies learn to sleep through the night. Instead of hopping out of bed the moment the baby cries, parents are urged to wait for a few minutes to see if the baby will stop fussing. Proponents of this solution argue that babies can teach themselves to self-soothe, allowing parents to stay in bed and get more sleep. However, some people have a hard time listening to their child cry for an extended period of time. Systematic awakenings provide an alternative to the “cry-it-out” method that may not work for everyone. Ignoring a baby when there is an underlying issue can be harmful to the infant, so parents should check to make sure their child is healthy before trying to encourage better sleeping skills. Regardless of whether parents choose to try scheduled awakenings, systematic ignoring, or other strategies, being armed with a plan is the most beneficial thing they can do when their baby is crying at 2:00 a.m. Most parents use several strategies when trying to cope with loss of sleep and an unhappy child. Pediatricians suggest instilling a good bedtime routine that encourages sleepiness and continuity. Putting a baby to bed at the same time each night can help set up a good sleep schedule that can keep parents from having to wake several times a night to soothe a fussy child. When both parents and baby are getting enough sleep each night, everyone is happy. Utilizing scheduled awakenings may be the best way for some families to handle the many difficult months of sleep training.